Feeling sleepy all the time is not quite reasonable. And there are many underlying causes why sleepiness occurs. Learn about them here. Why am I always sleepy all the time? Aren’t you curious why you feel that any part of the day is bedtime? Many people have been searching for answers for this particular question. Despite being an amusing query, the latter still holds much water. Apparently, constant sleepiness or weariness is a condition felt by many people. A lot of us have experienced this particular predicament. Honestly, it doesn’t feel pleasant at all. We are going to discuss this matter further in the next sections. Are you feeling sleepy all the time? 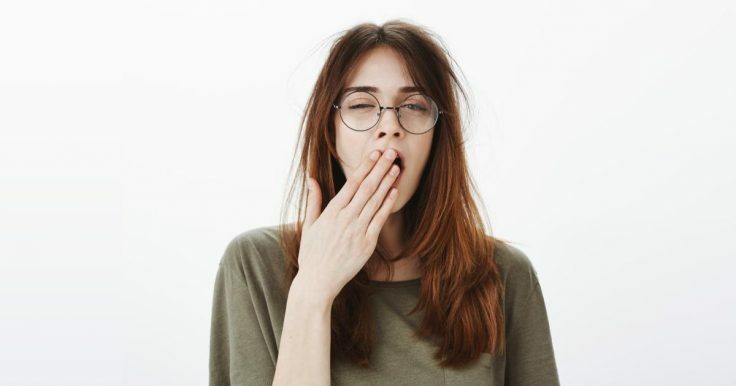 Excessive sleepiness, or excessive daytime sleepiness (EDS), is a condition that compels a person to experience fatigue even at inappropriate hours. The sensation is often chronic, as it always manifests also if you were able to sleep throughout the night. Even though we need to sleep, doing it excessively is not good. There are serious implications for this to your health. A person is also becoming more prone to accidents because their awareness level is overwhelmed by drowsiness. Currently, there is a myriad of culprits that are being attributed to EDS. Such of these is anemia and poor diet. However, the condition is still better explained by sleep disorders. Before you get paranoid, you have to make sure that your symptoms are indeed clear indicators of excessive sleepiness. Not all people who experience sleepiness in the day suffer from EDS. For instance, I tend to get sleepy in the afternoon, but that is just because my body clock is telling me that it is my napping time already. Anxiety, depression, and unexplained fatigue. Several medical conditions may explain why a person can undergo unusual sleepiness and fatigue. The following explanations might be able to elucidate this particular predicament. Obstructive sleep apnea can cause constant sleepiness. When we are talking about sleep disorders, obstructive sleep apnea (OSA) is among the most prevalent. Accordingly, more than 20 million adults in the US are experiencing this condition. Specifically, sleep apnea happens when your breathing is obstructed while you are dozing off. The stoppage of breath can span from 5 to 10 seconds. Sometimes, it can extend longer than that. Once this happens, your brain will automatically signal your body to wake up so that your respiratory system can function properly again. Since sleep apnea can occur from time to time, it can cause a person to wake up regularly as well. The aftermath of this abnormal sleeping routine is lack of sleep. It is expected that your body feels groggy and weary during the day because you haven’t gotten the quality repose that your body needs. Sleep apnea has many side effects, but daytime sleepiness is one of the most common. Restless leg syndrome can cause constant sleepiness. I was never diagnosed with restless leg syndrome (RLS), but I have heard the horrors behind this condition. Apparently, RLS is not as simple as it sounds. It has been classified as a type of neurological disorder that manifests in the legs. Specifically, the condition will cause your legs to move uncontrollably. I also encountered some cases where other limbs of the body are affected by RLS. People who suffer from RLS experience unexplained chronic pain. It is not also surprising for a person with RLS to experience a “crawling” sensations on various parts of their legs. Notably, this disorder happens during resting hours or when you are about to sleep. The symptoms of RLS can range from being tolerable to extremely agitating. Any individual who has been diagnosed with it cannot sleep comfortably. The quality of your sleep will be compromised because your body tends to move its leg to find relief or comfort. It can make you feel tired and exhausted during the day. Narcolepsy can cause constant sleepiness. Another neurological disorder that can affect your sleeping pattern is narcolepsy. It is estimated that 5 out of 10,000 people today suffer from this condition. Moreover, up to now, treating it is still a challenge to the medical world. Specifically, narcolepsy falls under the category of autoimmune disorders. It usually affects the brain’s capability to regulate the sleeping and waking cycle. It can mess up with your body clock, hence making things difficult for you. People that are affected with narcolepsy usually sleep right after the rapid eye movement (REM) stage starts. However, they can still bring the manifestations of REM during the day. Take note that this happens involuntarily. Excessive sleepiness is among the common indicators of narcolepsy. Right now, researchers are still struggling to figure out the real cause of this disorder. 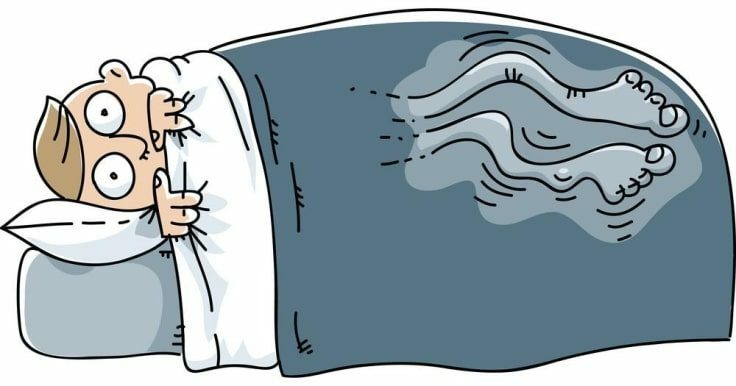 These are the major sleeping disorders that can induce excessive sleepiness. However, just like I said earlier, consulting your doctor would provide you with a clear picture of why you feel sleepy throughout the day. I would never recommend that you try medications or treatments, even though they may have been approved by a physician. However, a foolproof way of having a quality rest during the night is lying on an ergonomic mattress. There are several types of mattresses suitable for the best sleep that you can get in the market today. Having them around will surely not be harmful on your part. Nobody can merely downplay the importance of sleep. People, especially adults, need a strict 8-hour sleeping regimen to ensure that they can function properly throughout the day. However, there are certain instances in where we become sleepy in the morning. It is an experience that all of us, including me, have encountered several times in our life. We can always treat such situation as usual, especially if it is not something that we cannot control. However, if this sleepiness persists consistently, then you should make an appointment with a doctor already. There’s a chance that you might be suffering from sleeping disorders that deliberately affect your sleeping pattern.